Ticket prices listed include facility fees. Additional service charges and handling fees may apply. About: Let’s hear it for the boys! 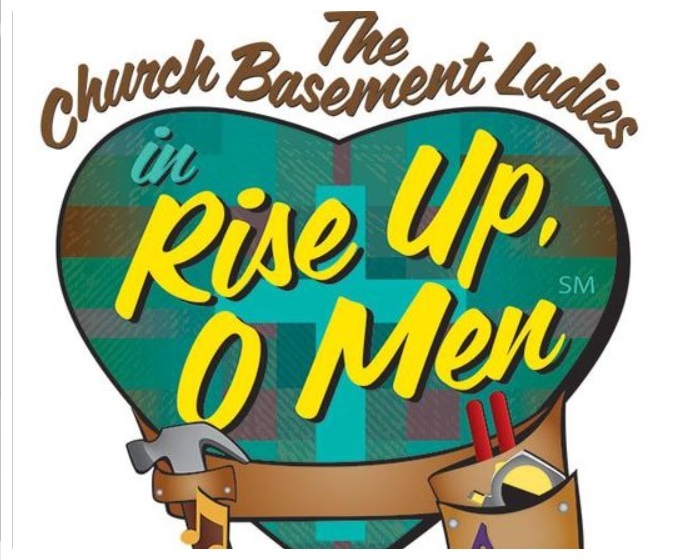 Fans of the musical comedy series Church Basement Ladies will finally get to know more about the men of East Cornucopia Lutheran Church, in the production Rise Up O Men. This sidesplitting, uplifting peek into the lives of the rural Norwegian Lutherans who audiences first fell in love with in 2005 is the sixth chapter of the story begun in the original Church Basement Ladies. Rise Up O Men features familiar faces: Mrs. Mavis Gilmerson, Mrs. Vivian Snustad, and Mrs. Karin Engleson who would never leave the basement kitchen unattended, of course (who would make bars for the youth group meeting?). But as they busy themselves with preparations for their churches participation in the town’s 1964 Centennial Celebration, we get to see their coming and goings from the eyes of the menfolk, who have their own problems to solve. Karin’s husband Elroy, farmer Carl and Great War vet Arlo are joined in brotherhood by series staple Pastor E.L. Gunderson. Their camaraderie unites them as they deal with furnace salesmen, looming retirement, rival Protestant denominations, the Pastor’s bad jokes, and Arlene’s even-worse cooking.